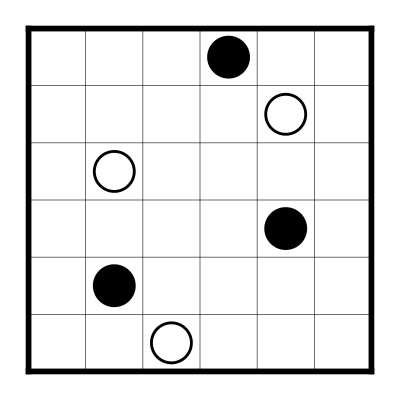 I came up with the following little Masyu with twisted symmetry while searching for a good example for the rules page. I think you can’t get much smaller without picking up some proper symmetry. This entry was posted in Puzzles and tagged easy, masyu, standard on 2014-01-29 by rob. So I feel that I need a place to post some puzzles that don’t really fit the Rätselportal, plus I have some other related things I’d like to share, e.g. related to rendering puzzles. And this might just drift into more of a programming direction, we’ll see. This entry was posted in Uncategorized on 2014-01-29 by rob.